Financial aid assistance is widely available to cosmetology and beauty school students. There are various grants and scholarship opportunities for students who qualify for these financial assistance programs. Cosmetology is a profession that is currently in high demand due to the increase in consumers’ desires to look and feel their best. As a whole, people seek the advice and skills of licensed cosmetologists to enhance their beauty and increase their overall self-esteem, self-confidence and morale. Although cosmetologists are mostly on their feet during their work hours and spend a considerable amount of time working with their hands, many cosmetologists receive competitive wages for their work. Also, many cosmetologists have a passion for their profession and are personally rewarded when their work is praised and admired by current and potential clients. Doing exceptional work is the best way for cosmetologists to increase their salaries, receive job advancements and retain loyal clients. In addition to the positive aspects of the cosmetology profession, cosmetologists may be exposed to chemicals on a daily basis from beauty products. 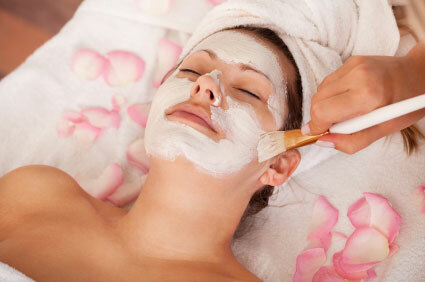 Cosmetology professionals help individuals with makeup applications, skin care, hair care, hair coloring and nail care. Many cosmetologists are self-employed or work as independent contractors. It takes creative skills in a particular specialty along with proper training to excel in the cosmetology profession. According to the Bureau of Labor Statistics, barbers, hairdressers and cosmetologists held 712,200 jobs in 2010. Their work schedules may vary each day depending on the needs of their clientele as well as the operating hours of the salon or spa. Some cosmetologists work part-time hours, and many work full-time schedules including overtime hours. In addition to daytime hours, some cosmetologists work during night and weekend hours. The Bureau of Labor Statistics reports that cosmetologists earned median hourly wages of $10.82 as of May 2010. However, the salaries and hourly wages of licensed cosmetologists vary by employer, location, clientele base and the popularity of each cosmetology professional. For example, two cosmetology professionals may possess similar experience and qualifications within a particular beauty salon, but clients may prefer the assistance of one of the licensed cosmetologists, which inevitably is likely to increase the wages and annual salary of the more popular cosmetologists. Aspiring cosmetologists must first complete a cosmetology program and obtain their cosmetology license in their state. In each jurisdiction, there are many cosmetology programs located at community colleges, vocational schools and leading providers of cosmetology tools. In addition to possessing creative skills in their cosmetology specialty, licensed cosmetologists must also have effective interpersonal communication skills as well as customer service skills. These are essential skills that most cosmetology professionals must have in order to be successful in their occupation as well as attract and retain clients. According to the Bureau of Labor Statistics, job opportunities for barbers, hairdressers, cosmetologists and shampooers are expected to increase over the course of a decade by 14 percent between 2010 and 2020. The cosmetology occupation, as a whole will experience more job opportunities due to job openings to replace individuals who transfer to other professions. Visit the Bureau of Labor Statistics website regarding the cosmetology and other related occupations. After enrolling into a cosmetology program, students are required to ensure that they have the ability to pay for the costs to attend classes and any required training materials. With many cosmetology schools, tuition costs are increasing every year, and many aspiring cosmetology students do not possess the funds to pay for these training programs. Although tuition costs to attend cosmetology school may be expensive, cosmetology students have many options to seek financial assistance to pay for their cosmetology training. After completing a cosmetology school program, graduates must apply for their cosmetology license. In most jurisdictions, candidates for licensure must have graduated from a school approved by their state cosmetology licensing board. Most state-approved cosmetology schools that participate in government-related financial aid programs are approved by the United States Department of Education for Title IV Student Funding and their state office of student financial assistance. Students enrolled in these schools can apply for Federal and State Financial Aid. Federal and state grant programs are offered to eligible students. Students awarded with these grants are not required to repay the grants after completing the cosmetology school programs. The easiest way to apply for financial aid, including federal grant programs and federal student loans is to apply electronically via www.fasfa.gov. FASFA (Free Application for Federal Student Aid) applications enable students to select schools they are interested in attending. Because many cosmetology schools participate in the federal financial aid programs, prospective cosmetology students can include a wide variety of schools with cosmetology and beauty school programs. Students enrolled in cosmetology school can seek the guidance of financial aid counselors at their schools to assist them with applying for government financial aid. After the FASFA form is processed by financial aid administrators, the students receive their Student Aid Report (SAR), which includes the students’ eligibility information for federal student financial assistance programs. Because many people desire to attend college and vocational training programs, including cosmetology schools, it is beneficial to apply for federal financial aid assistance as early as possible prior to your expected start date for cosmetology schools. Additionally, after you complete the FASFA form, you may receive information in the mail requiring you to send additional information to complete your application. The process may take months to complete before you receive your Student Aid Report, and before your school receives your financial aid award information. It is also beneficial to apply for as much government assistant programs that you qualify for, if you have an interest in obtaining federal financial aid assistance during your tenure in cosmetology school. Whether a student is applying for federal grants or loans, there are specific requirements to apply for these programs. Students must be accepted for enrollment or enrolled in a cosmetology program. Students must be a legal resident of the United States, either by citizenship status or student visa for resident immigrants. The Federal Perkins loan, unsubsidized Stafford loans, subsidized Stafford loans and PLUS loan programs are offered to students. The Federal Pell Grant is a well-known federal grant program awarded to eligible students. Also, the Federal Supplemental Educational Opportunity Grant (FSEOG) is also awarded to students. Several national organizations and nationally recognized cosmetology companies (providers of cosmetology tools and hair supplies) provide scholarships to selected enrolled cosmetology students or aspiring cosmetology students. Also, some cosmetology schools offer scholarships their students or applicants interested in attending one of their cosmetology programs. The schools’ financial aid office typically provides information regarding any scholarship programs administered by the school. OPI National School Division offers scholarships to eligible cosmetology students. These scholarships are available through the Schaeffer Family Foundation. Applicants must attend one of the OPI Preferred Cosmetology Schools. The scholarships are usually for $500 for each scholarship recipient. Award recipients of the OPI scholarship do not receive the scholarship funds. However, the OPI National School Division sends the scholarship funds to the students’ cosmetology schools. Cosmetology students who qualify for the OPI scholarship must reside in the United States and enrolled in a cosmetology program. In addition to being an OPI Preferred Cosmetology Schools, the cosmetology programs must prepare students for licensure. Eligible cosmetology students may apply for the Sally Beauty Scholarship. Award recipients of the Sally Beauty Scholarship can receive $1000 or more to assist them with their financial obligations for cosmetology school. The scholarships are funded by Sally Beauty Supply. Additionally, the Professional Beauty Association and the National Cosmetology Association administers the scholarship funds for the Sally Beauty Scholarship. The Minerva Beauty Scholarship is funded by the Minerva Beauty organization. The Minerva Beauty company is a provider of beauty salon equipment. Similar to the Sally Beauty Scholarship, the Minerva Beauty Cosmetology Scholarship program is also administered by the Professional Beauty Association and the National Cosmetology Association. Visit www.probeauty.org for details regarding the Minerva Beauty Cosmetology Scholarship. To qualify for this scholarship, applicants must be enrolled in an accredited beauty school program and completed at least one semester or one graded cycle of the cosmetology program. Applicants must also submit their transcripts with the scholarship application and must meet the minimum grade point average requirement stipulated by the scholarship administrators. Students enrolled in The Salon Professional Academy franchise locations can apply for the Redken Scholarship program. Applicants must meet minimum grade point average and attendance status rankings to qualify for the scholarship. The Redken Scholarship Advisory Board reviews the scholarship applications to determine the award recipients of the Redken Scholarship. Visit www.thesalonprofessionalacademy.com for scholarship details. The Regency Beauty Institute offers scholarships to selected high school seniors. The scholarships may be as high as $5,000 for each scholarship award recipient. In addition to their website, the Facebook page for Regency Beauty includes information about the Regency Beauty Scholarship as indicated on their website (www.regencybeauty.com). Scholarship applicants must complete a makeover of themselves or someone else and submit a video of the makeover to the scholarship committee. There are application deadlines to apply for the scholarship, and those awarded with the Regency Beauty Scholarship may be required to enroll in a cosmetology program at the Regency Beauty Institute. Students attending one of the American Association of Cosmetology Schools can apply for the Farouk Systems Cosmetology Scholarship. Scholarship award recipients may receive up to $1000 in scholarship funds. The scholarship program is administered by the American Association of Cosmetology Schools, and Farouk Systems represents review the applications to determine the winners of the Farouk Systems Cosmetology Scholarship. More information about this scholarship is located on www.beautyschools.org. Most scholarship administrators require applicants to submit a personal essay regarding topics related to their career aspirations in cosmetology. In addition to recommendation letters, grade point averages and sometimes school attendance history, the applicant’s personal essay or personal statement is an important factor that scholarship administrators rely on to select the scholarship award recipients. Scholarship applicants use the personal essay to persuade the scholarship administrators that they are the best candidate for the award. With most scholarship applicants, cosmetology students must include a 1 to 2 page personal essay. 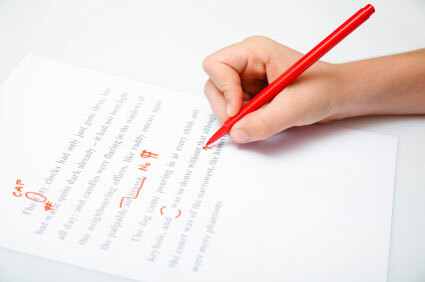 The essay should be well-organized and possess statements that attract the attention of it’s readers. It should also include the applicant’s most relevant experience regarding the essay topic. Applicants should also read and reread the essay several times before submitting it to the scholarship committee to ensure that the essay flows well and contains accurate information. To obtain financial aid assistance, the schools must participate in the grant programs. Therefore, enrolled beauty school students must apply for grant programs that their particular school participates n. With most cosmetology programs, the tuition will likely cost between $10,000 and $20,000 to complete the entire program. In addition to the tuition costs, cosmetology students are required to purchase student kits and supplies. The costs to complete cosmetology programs may vary with each specialty. For instance, to complete a program to a licensed nail technician may costs much less than a program for aspiring hair stylists. Some grants may cover the full cost of tuition, while other grants may only cover a portion of the tuition. The American Association of Cosmetology Schools offer grants and scholarships to eligible cosmetology school students. The cosmetology school must participate in the program. The website for the American Association of Cosmetology Schools allows visitors of the site to search participating schools in their area and determine which schools participate in the ACE grants and scholarships programs. You can search by school names, zip codes, cities and states. The National Coalition of Estheticians, Manufacturers, Distributors and Associations offers the Gerson Award for Esthetic Education to esthetics teachers. The National Coalition of Estheticians, Manufacturers, Distributors and Associations also offer the NCEA Esthetician Scholarship to eligible students enrolled in esthetician training programs. The applicants’ schools must verify the applicant’s enrollment in esthetician programs before the applicant submits the scholarship application to the NCEA scholarship committee. Many cosmetology schools offer privates grants to eligible students. These private grants are not included in the federal student aid assistance programs. The school-based private grants are administered by the schools’ financial aid administrators, and the schools allocate funds to the selected scholarship recipients. Similar to federal grants, students are not required to repay the money back to the school upon graduation from cosmetology programs. Some of the cosmetology schools that offer cosmetology grants to students are Model College of Hair Design in Minnesota, Southern Westchester’s Cosmetology Program, Vernon’s Kansas School of Cosmetology, Pasadena City College and many more. Many issues associated with many cosmetology students are their inability to locate widely available opportunities to help them fund their cosmetology education. Aspiring cosmetology professionals can inquire about government programs, private grant and scholarship programs within their schools. High school students can seek the assistance of guidance counselors to assist them with finding available grants and scholarships for cosmetology schools. Students who are in the process of being enrolled in a cosmetology program or who are currently enrolled in a cosmetology program can obtain the assistance of financial aid counselors to help them locate scholarship and grant programs.